It’s really important to make sure your wedding suit is perfect; you want to look dapper and have a suit that will last and make you feel as special as the bride. It’s great getting to work with people that truly appreciate a good suit and today I’ve been to fit Leicester Tigers and England’s Ben Youngs. 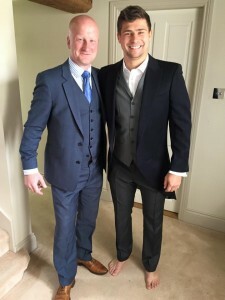 He’s sorted top to toe for his big day and as you can see – he’s pretty chuffed!